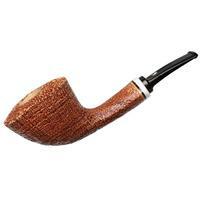 Though perhaps most well known for his multiple C-graded smooth finishes, Claudio can turn out a particularly nice sandblasted finish when fancy strikes. 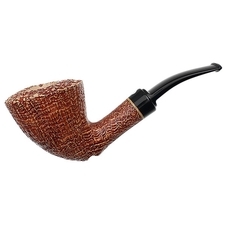 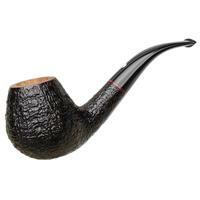 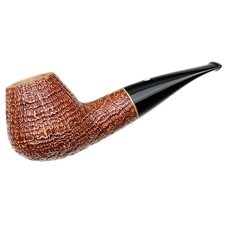 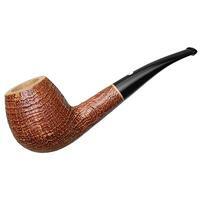 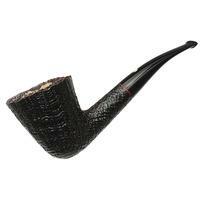 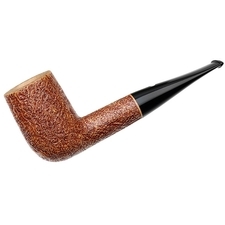 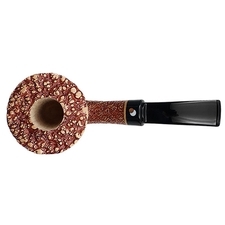 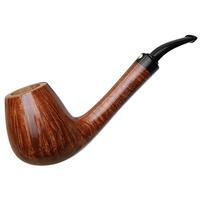 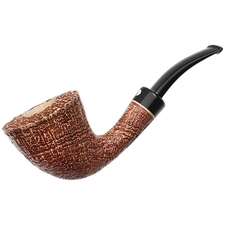 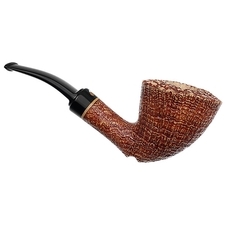 This bent Dublin's a great example, sporting tons of rippling rings ascending along the strong taper of the bowl — a taper which results in quite a playful aesthetic when paired with the low-slung transition and notch along the underside. 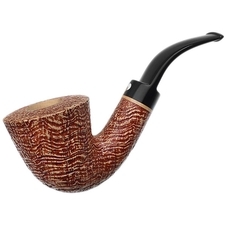 It's presented here in a warm, light-contrast stain, really giving that aforementioned ring grain a lot of definition. 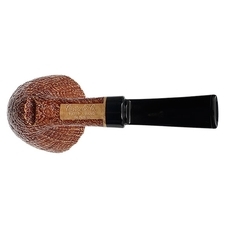 Outside Diameter: 2.12 in./53.85 mm.